Tottenham will travel down to the Emirates Stadium to battle it out with Arsenal, with the two North London rivals meeting first time since the Gunners were beaten 1-0 at Wembley Stadium back in February. Spurs head into the game having made their best-ever start to a Premier League season and securing maximum 3 points on Saturday evening by beating Chelsea 3-1 at Wembley. Meanwhile, Arsenal saw off stubborn Bournemouth on Sunday with a sloppy 2-1 win, which means they sit three points behind Spurs – and can go over their adversaries with a win this Sunday. The former Borussia Dortmund forward who scored the winning goal in that victory at Victoria Park, taking his count for the season to eight goals in 13 Premier League games. 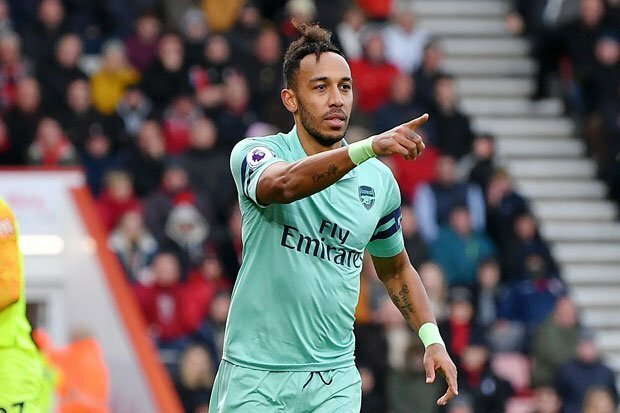 Aubameyang will be a major threat to Tottenham defence, and he has spoken ahead of the crucial clash, admitting that Spurs are ‘playing well’ at the moment. He gave the genuine affirmation that he can’t enjoy their football in light of the fact that the ‘Rivalry is too much‘, noting that Arsenal feels the energy of the game and must strive to claim a win over Mauricio Pochettino’s side. “Both teams are playing well at the moment, so we feel it,” said Aubameyang.